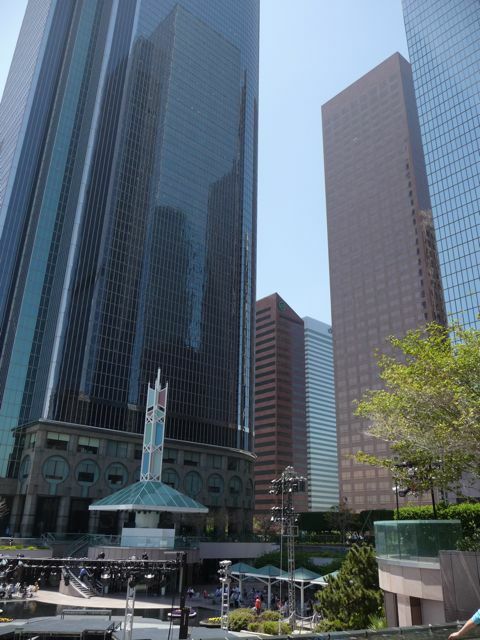 Last week I took a group of westside homeschool families on a tour of downtown Los Angeles. 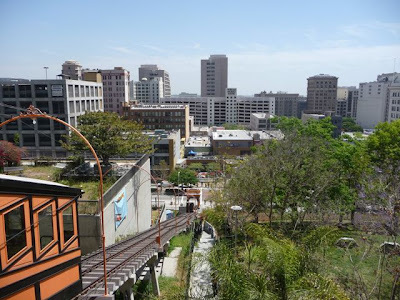 One of our many stops ways the recently re-opened Angels Flight funicular railroad. Originally built at the turn of the last century, Angels Flight operated from 1901-1969. It was then moved to it's present location, and (finally) reopened in 1996. 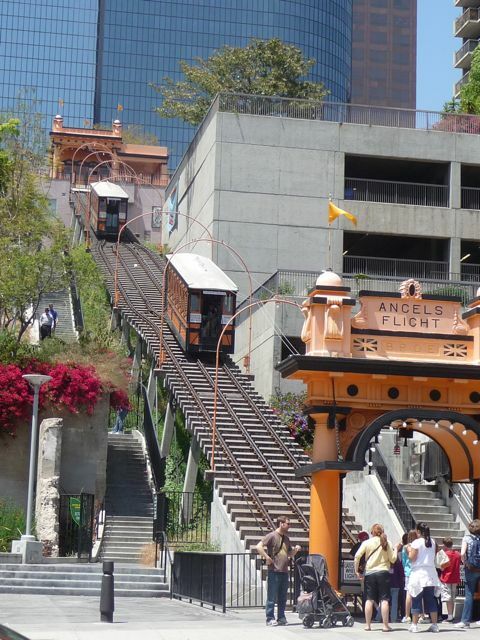 A fatal accident caused Angels Flight to close in 2001. It once again opened in March of this year. 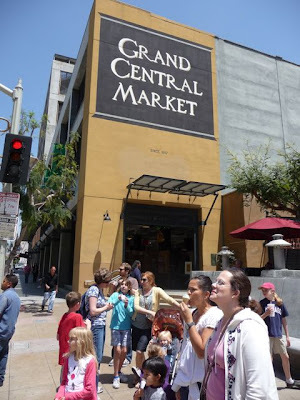 Our group of four families had just finished lunch at the historic Grand Central Market. 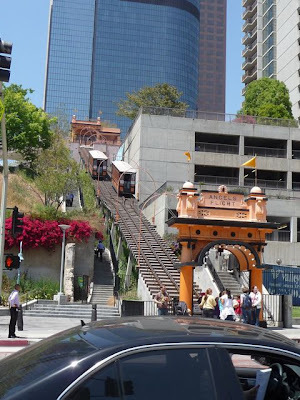 While waiting to cross Hill Street I shot a quick series of photos of the two cars going up and down the hill. 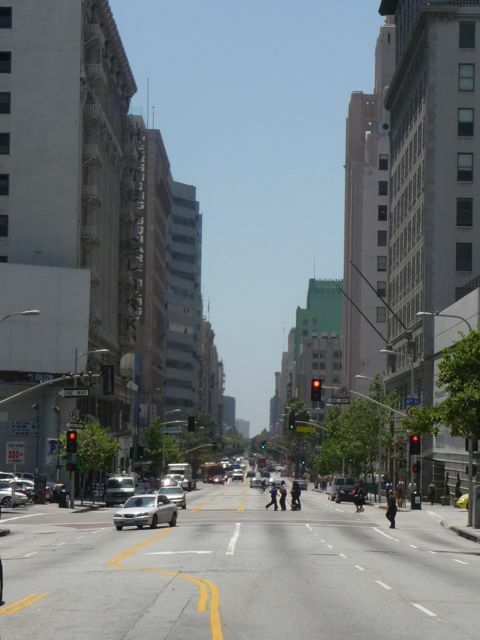 You see how they actually cross each other. 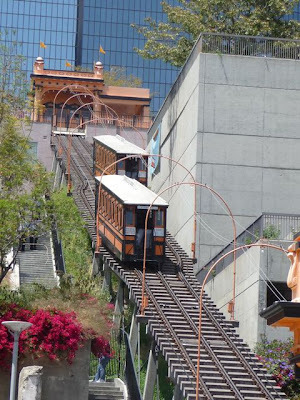 As a funicular, the cars act as counter weights, similar to an elevator. 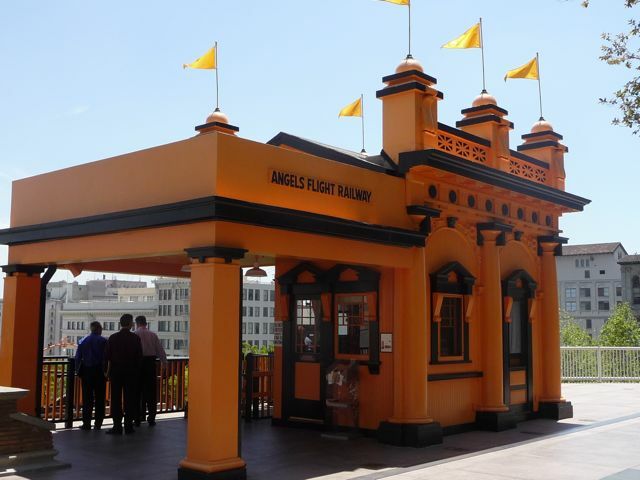 Angles Flight claims to be "The Shortest Railway in the World." 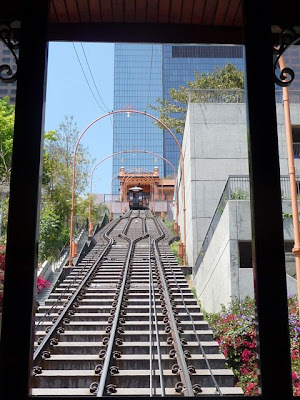 At 350 feet - just a bit longer than a football field - that's probably correct. We crossed Hill Street (pictured above, looking south) and got on board. The fare is just 25 cents - you pay at the top. Here's the view looking up. Needless to say, both the kids and adults thought it was a fun little ride! 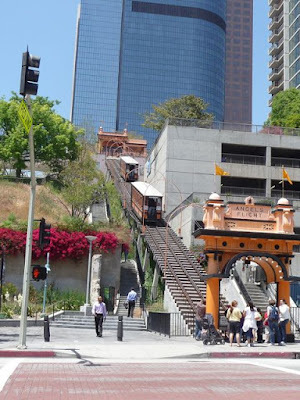 At the top of the hill, "Bunker Hill," is the large "California Plaza" office and hotel complex. 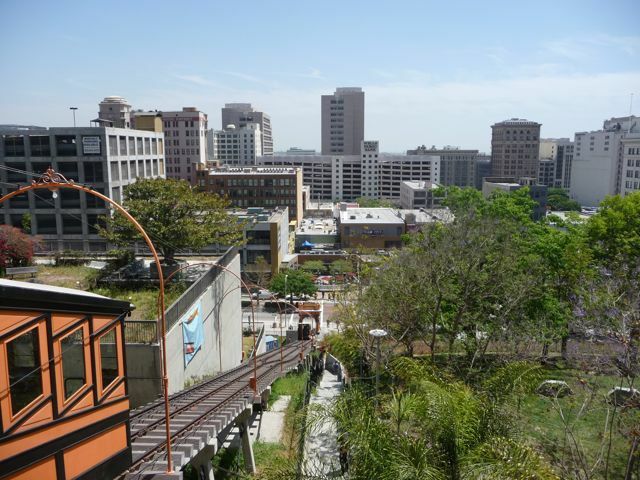 Turning around, you can see the historic office and ticket office. 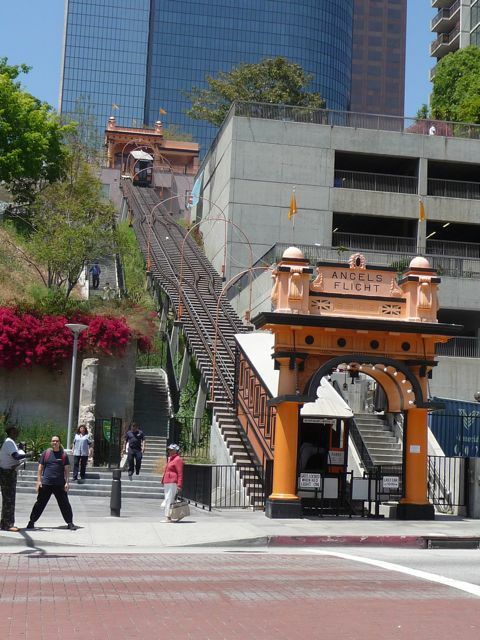 This is where you pay. A final look down the hill with the distinctive orange and black cars waiting to make yet another run.